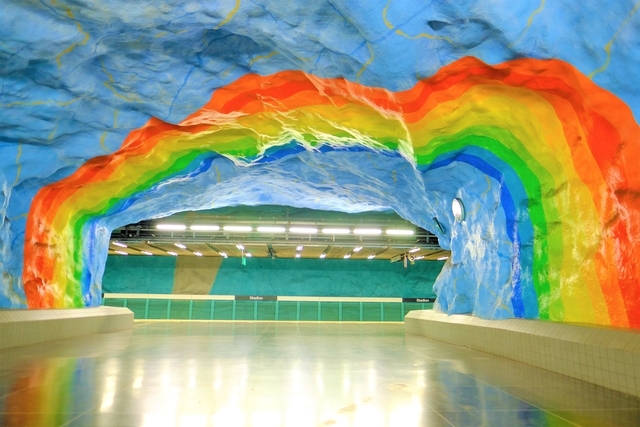 The Stockholm subway system is one of the most beautiful that I have ever seen. 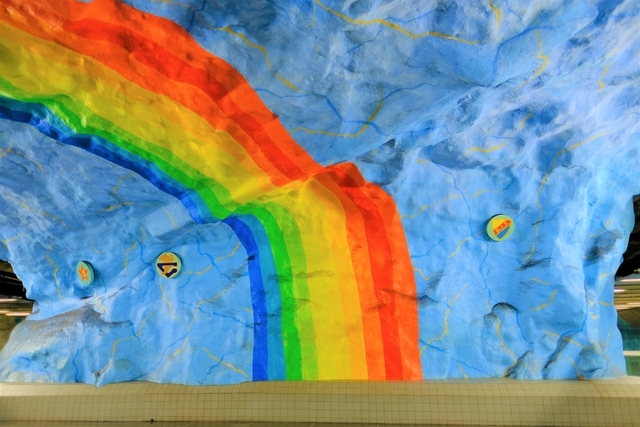 It was told to me that it is the world's longest art exhibit. It's art with a practical function. First thing is first, you need to purchase an acess card. I opted to purchase an all day pass. At about 14 euros for an all day pass, it's a steal. Plus, it's a great way to explore the city while visiting all the artistic metro stops along the way. 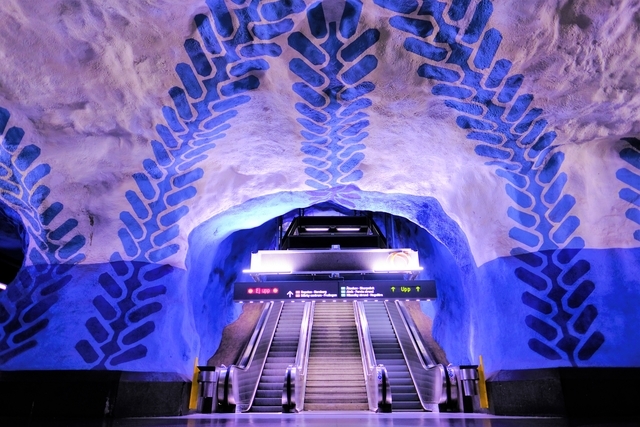 The T-Centalen metro station is on the blue line. And quite literally, the stop is covered in blue. The Stadion metro station is on the red line. It is located near the district of Östermalm.